In August 1993, Michael "Mikey Chang" Ciancaglini and Joseph "Skinny Joey" Merlino were targeted in a hit ordered by Philly Mob boss John Stanfa. 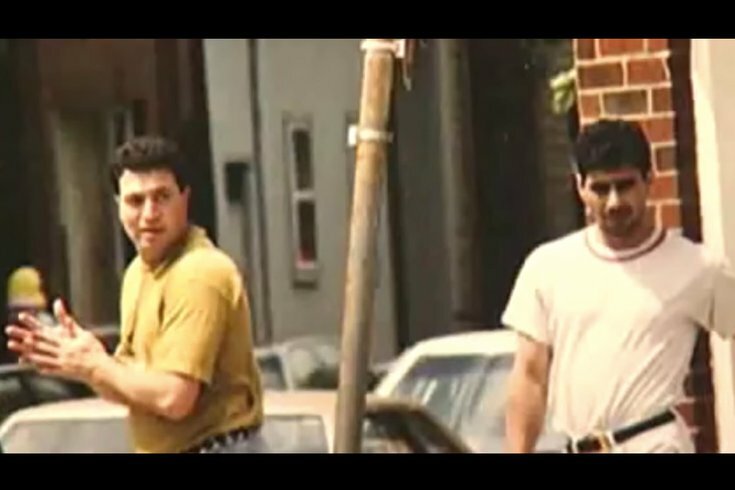 In the latest episode of Mob Talk Sitdown, veteran crime journalists George Anastasia and Dave Schratwieser recall the August 25, 1993 hit on Michael "Mikey Chang" Ciancaglini and Joseph "Skinny Joey" Merlino outside their clubhouse. Merlino took a bullet in the buttocks and survived. Ciancaglini, shot once in the chest, was killed. The hit ordered by boss John Stanfa was a sloppy effort by the "gang that couldn't shoot straight" and emblematic of that period in the Philly mob wars, Anastasia says. MORE MOB TALK: Windows smashed at Philly Mob captain's home. Retaliation coming? In Episode 21 of Mob Talk Sitdown, Anastasia and Schratwieser report that windows were broken out at high-ranking Philly Mob captain Dom Grande's home in South Philadelphia. What's behind the blatant "in your face" act in one of Philly's high-end neighborhoods? Will there be retaliation? Also, Mob Boss Joey Merlino's $5 million bail package is lowered, and his family house goes up for sale. Changes are coming as "Skinny Joey" heads to sentencing next month and federal prison. Plus, prison food gets a New York wiseguy some new liberty.